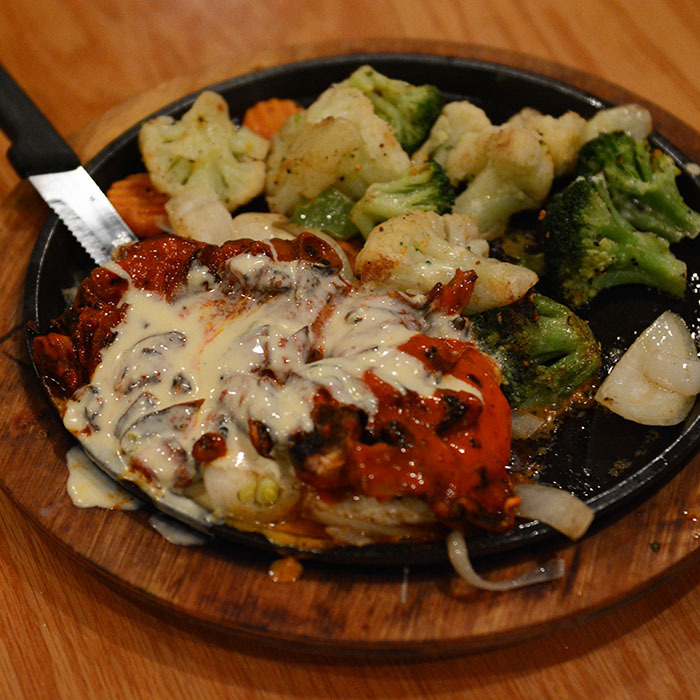 Mexican food with decades of experience with a large full bar, TV Screens and its typical warm and friendly service! 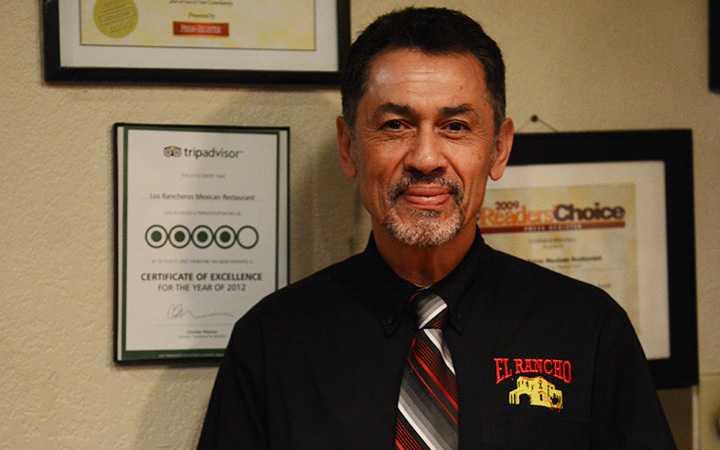 "Los Rancheros Mexican Restaurant" was the first of many Mexican Restaurants opened by Ruben Gimenez. This restaurant originated many recipes and dishes that have become staples of the Mobile Bay Area Mexican Food. Not only these dishes have become well known and searched for, the friendly and warm service with an optimist and upbeat attitude is a balm for today's busy and often stressful life. You will find that our restaurant guests are young couples, whole families, groups of teenagers, known patrons coming for many years, couples celebrating anniversaries, parents showing their sons and daughters how to have a good time at a restaurant and selecting food... One of our satisfactions is watching how people from all walks of life come and enjoy our food, service and place. 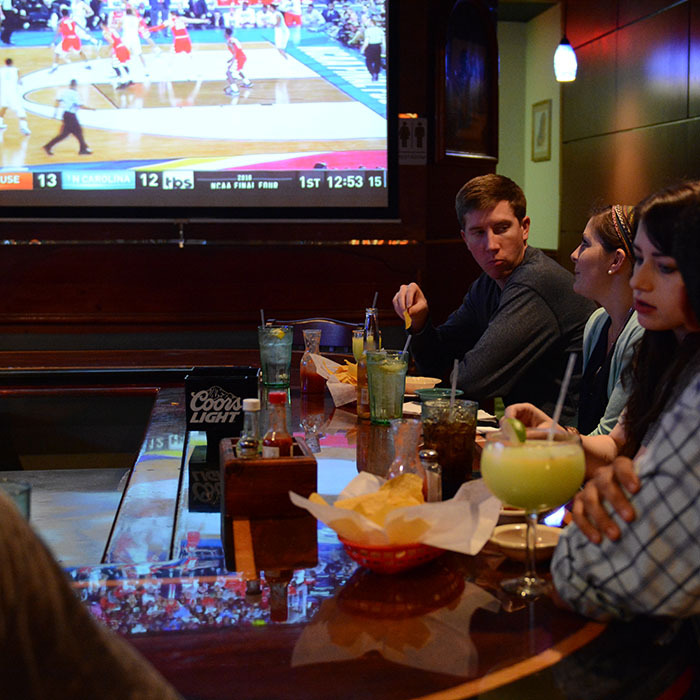 Our bar, always lively with friends, couples or people by themselves having great Margaritas or other drinks while relaxing, meeting people, and of course watching sports in our large TV Screen often cheering for their Alabama or Auburn Universities Football Teams. Decades of experience count, and as the first of many restaurants this place has an intimacy and history that we try to show you in our food, drinks and service - we want you to have a memorable experience. Friendly and Warm Ambiance for everyone! Friendly Service is Our Tradition! Full Bar, Great Margaritas, Watch Sports! Many of our Mexican dishes were created, tested and refined in this restaurant, later becoming staple dishes at many of our other restaurants such as "Don Carlos" and "El Rancho" in Daphne. Our roots of creating dishes based on old traditional Mexican Recipes is maintained, we are always refining our dishes and try new recipes. We have a large variety of different dishes coming from different areas of Mexico. We invite you to explore our menu! Since the creation of "Los Rancheros" almost three decades ago our friendly service and warm ambiance as if you're invited to a home is one of our main characteristics. You may have heard about the "Latin American hospitality", that's what we are and practice, and we want you to experience it. 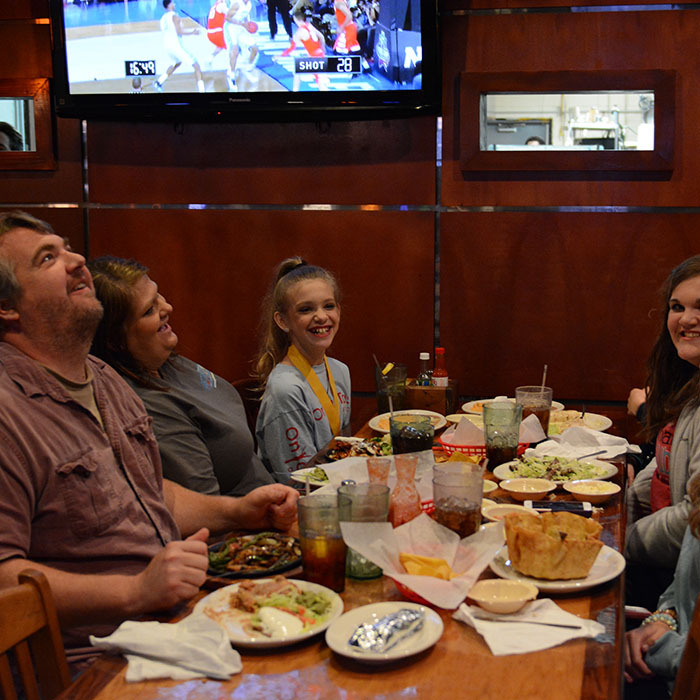 We want everyone to "feel at home", to be comfortable from sharing stories and meeting people in the bar to whole families with children laughing and having a wonderful time! 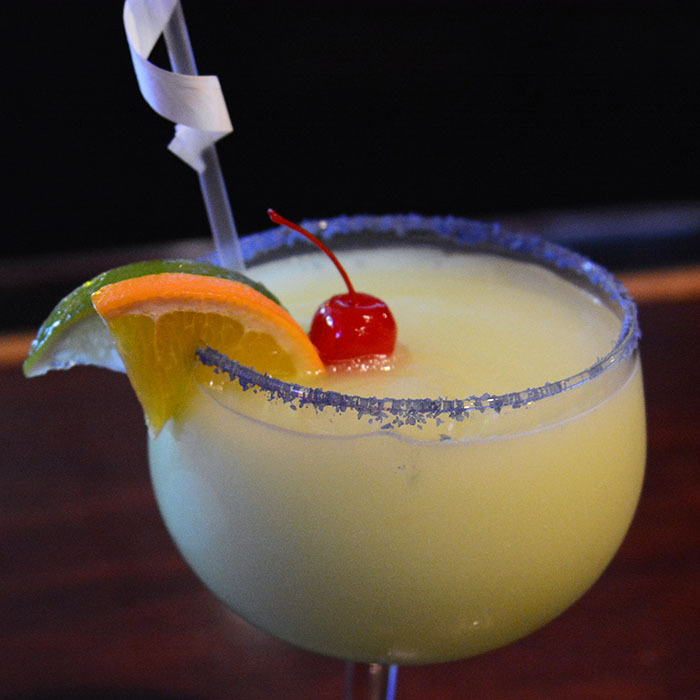 Our bar is definitely a point of reunion for people, and our friendly and upbeat service is always around to advice you on a drink, and to prepare you from great Margaritas to any other traditional drink you may desire. Watching all types sports is also a very typical scene, especially football games with passionate guests rooting for their favorite teams. When we created "Los Rancheros" more than two decades ago we knew that a Bar should be a center part of it... and we were right!. Ruben Gimenez, a respected restaurateur and entrepreneur in the Mobile Bay Area started with Los Rancheros in the 80's. This restaurant was the 1st step, and created many dishes and a way of working that was expanded to other restaurants, such as El Rancho and Don Carlos. You can read a more detailed story in one of the other restaurants, Don Carlos. 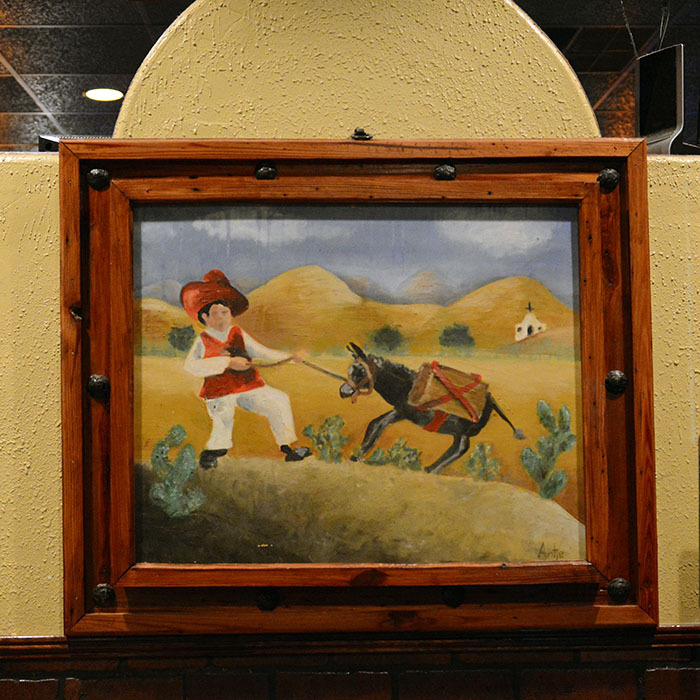 Los Rancheros, as the 1st restaurant created almost three decades ago has a history and tradition that is still alive. The original purpose of high quality home-style traditional Mexican Food and great Margaritas with a friendly service is what we are proud of, and what we maintain alive, everyday. 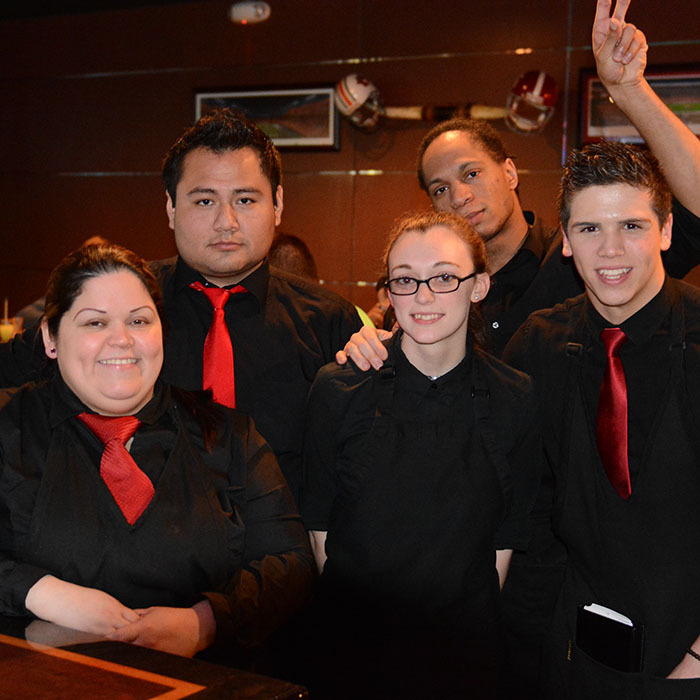 Come and visit us to experience what three decades of experience and caring brings to a restaurant!